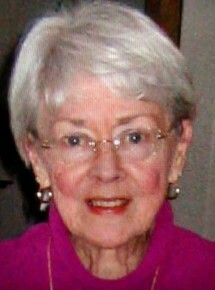 Carolyn Joann Hulsether died September 3, 2018, at the Morrow Memorial Home in Sparta. Carolyn was born on May 4th, 1934, in Richland Center, Wisconsin to Carrol and Susan Weller. Carolyn graduated from Richland Center High School in 1952. On December 20, 1952, Carolyn married Melvin LaVerne “Vern” Hulsether. The couple moved to Austin, Texas on December 31st, 1952, where Vern was stationed at San Marcos Air Force Base. Upon his discharge in September of 1954, the couple moved to Sparta. Carolyn worked from 1968 through 1977 at Arenz Shoes. In August of 1980, while employed with Northern States Power Company, Vern experienced a work-related accident that left him a bi-lateral arm amputee – Carolyn became a full-time care provider for her husband until his death in July of 2010. Carolyn’s formal education might have ended in 1952 when she graduated from high school, however, she remained a lifelong learner through her love of reading. Carolyn finished her last Nora Roberts book just days before her death. She was a strong supporter of the Sparta Free Library. Carolyn is survived by her daughter, Toni (Steve) Kenyon of Sparta, a grandson, Drew (May Truong) Kenyon of Sun Prairie, 2 great granddaughters, Yihan and Minha Kenyon of Sun Prairie; a brother-in-law, John Wedwick of Rockford; nieces, Tammy Brown of Knoxville, TN, Julie Browne of Rockford, IL, Jill (Tim) Stein of Monroe Center, IL; a nephew David Backer of Waterloo, IA; and a great nephew and niece, Jeremiah and Angel Brown. Carolyn was preceded in death by her parents, Carrol and Susan Weller, and her sister, Marilyn Wedwick. The family would like to acknowledge the compassionate medical care provided by Dr. Marc Tumerman, the staff of the Morrow Memorial Home – both at MaryCrest and at the nursing home, as well as the Hospice staff from Mayo Clinic Health System. In following Carolyn’s wishes no funeral service will be held. A private burial at Mt. Hope Cemetery will be held at a later date. Memorials in Carolyn’s name can be directed to the Sparta Free Library, the Morrow Memorial Home, or a charity of choice.